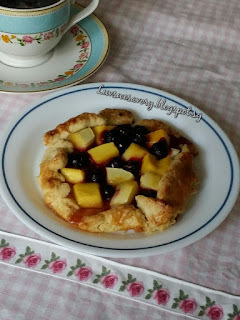 Glad that I could join my cyber blogger pals in this Bake-Along #88 Theme Galette. Huh ?! ... What is Galette? "Galette is a French term that refers to a variety of flat, round cakes, usually made with a flaky pastry dough of some kind. The term galette typically refers to a free form tart that is made with a flaky pastry crust. These tarts are not molded in tart pans. Instead, filling is placed directly on top of a sheet of rolled out pastry and the edges of that pastry are folded up and around the filling. 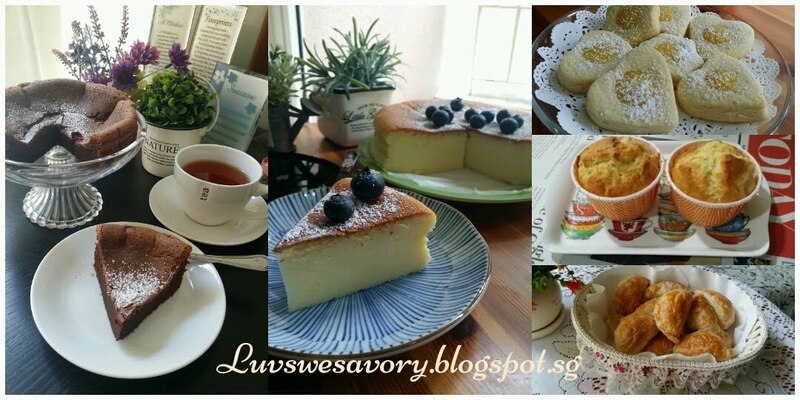 The tart becomes crisp during baking and the dessert, as a whole, manages to be both rustic and elegant at the same time." I've actually intended to bake a Fig Galette. Somehow ... my girl didn’t quite like fresh figs. Well, I've still got some mangoes and a pack of fresh blueberries. 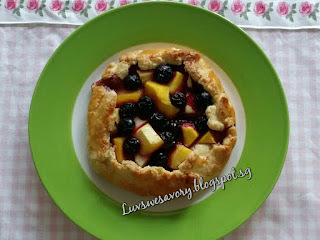 ... should be okay to bake a Blueberry & Mango Galette, right? Oh yeah 'mango' ! Can also support LTU theme mango ^-^! In a food processor, place the flour, salt, and sugar and process until combined. Add the cold butter and process until the mixture resembles coarse crumbs (about 15 seconds). Add 2 tablespoons of ice water (more if necessary) over the pastry and process just until dough comes together. Divide the dought into half and make a disk with each half. Wrap in plastic and refrigerate for 2 hours or overnight. Preheat the oven to 200°C. Position the rack in the middle of the oven. Once the pastry has chilled, remove from refrigerator and place on a lightly floured parchment paper. Roll out one pastry disk to about 25cm (10in) circle. (always roll from the center of the pastry outwards to get uniform thickness). Transfer the parchment paper to the baking sheet. 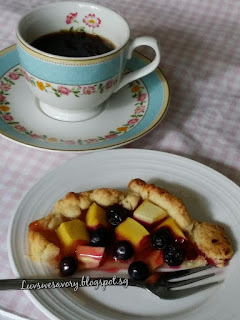 Spread 1 tablespoon apricot jam over the center of the pastry, leaving a 4cm (1 ½in) border. Arrange the diced mangoes and blueberries over the jam. 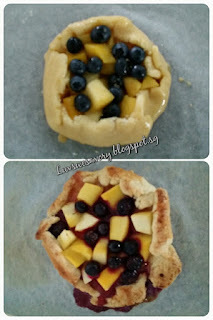 Gently fold the pastry edges over the filling. Brush edges of the galettes with the egg wash and sprinkle with a teaspoon of granulated white sugar. Bake for 25 - 30 minutes or until pastry is golden and filling is bubbly. I love the fruity and buttery aroma bursting out from the oven. Didn't want to trim the edges before folding as I hope to obtain a "rustic and elegant" looking galette. Lol ^-^! See that flaky crumbs ... plus the juicy sweet fruity. Perfect for my afternoon coffee break. Yummy-licious! 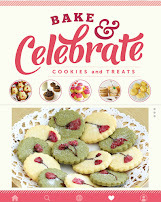 Hi, Karen, I love the photo with the blueberry "leaking" after bake. Slurp. 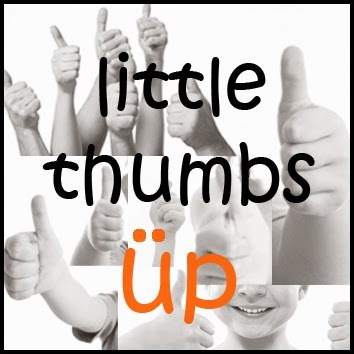 Thanks for linking up with LTU! Karen, you are generous with the fruits. 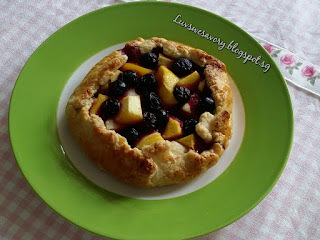 The galette looks so yummy! Hi Karen, what a beautiful rustic looking tart, blueberry and mango are wonderful together. Hi Nee, welcome in ^-^! Yummy... 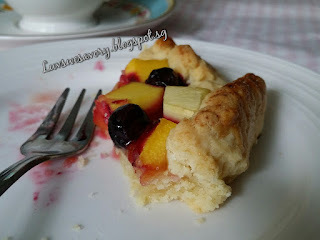 I have not tried my hands on Galette before, and yours look super delicious. Thanks & you're welcomed Irene. Hope you'll give this a try. I can imagine the mango fragrance baking in your oven. Thanks Edith, yeah sweet mango aroma. So interesting! Galette is new to me too! Thanks for sharing! hi karen! love that you added the mangoes to this galette! ya, rustic!! Galette with tropical fruit! Nice! I want a slice, I love mangoes! Thanks Joyce, glad that baking galette with tropical fruit turned out well ^-^!